At Triple T Septic Service, LLC, our mission is to provide every customer we interact with the best service possible, developing lasting relationships that provide commitment and dedication to all. We consider our mission statement to be our promise to our customers. We fulfill this commitment by delivering prompt, efficient and cost effective services while providing educational information to customers in regards to their septic related needs. Formed in the summer of 2014, Triple T Septic Service, LLC is a family owned and operated business. When we started this company, we wanted to be the best. 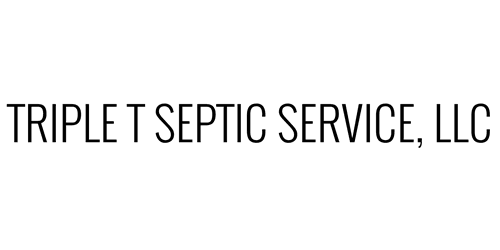 Since that time, we have grown to become one of Central and Southern West Virginia's most dependable, reliable and respected septic pumping companies. We are involved in all aspects of the septic industry and continually adding more services. Our services include residential septic system pumping, commercial, municipal and industrial pumping services, portable toilet rentals for various occasions, as well as drain line cleaning. We are also proud to offer water transportation for pools and holding tanks. We take extreme pride in our knowledge and dependability while being good stewards of our environment and respecting the customers we serve. During the summer of 2014, we needed some septic system work done. The first thing we realized we needed was to have our septic tank pumped. After calling one septic pumping company and being given the run around for two weeks, we called another to learn their prices were not affordable. We eventually got a company from 90 minutes away and learned there was a real need for an honest, dependable and affordable septic pumping company. We began looking for a truck and asking a lot of questions. Our first truck came from a gentleman who didn't show us much except where the pump was and how to engage it. The rest he said was "trial and error". We brought the truck home with no customers or jobs lined up. We called all of our friends with septic tanks and offered our services. We couldn't afford to advertise, so we started off by making sure each and every customer was satisfied, knowing if they were, we would be referred to people they knew. This practice has now became the standard for the way we do business. We have not and will not forget that our customers are why we are here. My wife, Angie, is normally the person answering the phone and most times is able to answer the questions in regards to septic related issues. I operate the truck and take care of on site issues. When not in school, our son Dillon is starting to take a more active roll in the business. Many times the three of us show up on a job together, and each of us will work to resolve your septic issue and answer any questions. As with any business, we have made a lot of changes since our start. In 2016 we entered the portable restroom market. Vowing to always maintain some of the cleanest toilets in our area. We take great pride in the toilets that we operate and Angie takes an active role in ensuring that we have the best deodorizers and disinfectant sprays. During the same time we felt it was also necessary to go into the drain clearing field as well. Many times our hands were tied if pumping didn't resolve the customers issue. We have invested in several different drain augers and drain cleaners in an effort to accommodate any of your needs. We have made a lot of investments into this business and we plan to be here to resolve any of your waste water needs for many years to come. We are so proud of our past and extremely excited about the future.